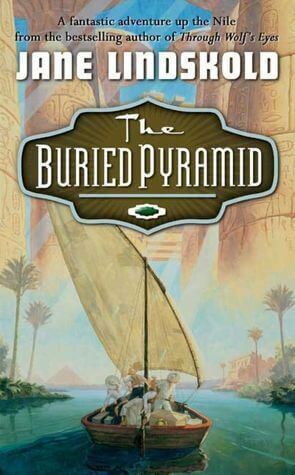 The Buried Pyramid, by Jane Lindskold, was a free book I picked up off of the internet for my nook reader. I tend to be skeptical of “free” books, but as I began to read, The Buried Pyramid actually seemed to be some good. By about two-thirds of the way through, with a few minor qualms, I was actually really enjoying the book. Then my opinion abruptly changed: read on to find out why this book isn’t worth the paper it’s printed on. When two stepsisters meet a goddess at a well, one girl is cursed to drop flowers and jewels every time she speaks – the other, snakes and toads. 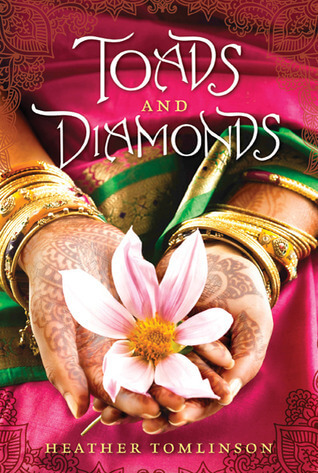 The first girl’s jewels catch the eye of a prince, while her sister’s snakes drive her from her home. 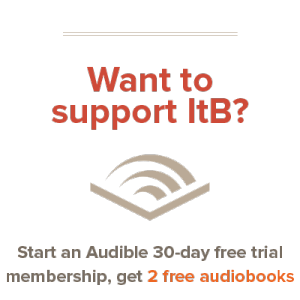 In the classic fairytale by Charles Perrault, the story stops there, but Heather Tomlinson takes it step farther by translating the tale to pre-colonial India. There, the sisters find themselves swept up into a tangled web of political intrigue and religious division – and romance. The Last Full Measure, by Jeff Shaara, completes the father-son Civil War trilogy begun by The Killer Angels and Gods and Generals. This book tells the tale of the last few years after the terrible battle of Gettysburg, following Lee and his army as they attempt to make a stand against the ever stronger Federals. The book is told from the viewpoints of three main characters. The Union Army has suffered terribly from inept commanders and terrible organization, despite having a huge advantage of manpower and supplies over the Confederates. Into this steps Ulysses S. Grant, a man who’s not afraid to pay the cost to get the army whipped into shape and turn the tide of the war. We also see Joshua Chamberlain, hero of Little Round Top from the battle of Gettysburg, now leading a brigade in the final stretch of the war and promoted to general. Meanwhile, Robert E. Lee is retreating from the disastrous battle of Gettysburg and attempting to maintain his strength in the face of the overwhelming numbers of the enemy. Still mourning the loss of Stonewall Jackson only two months before, Lee is now faced with the loss of most of his excellent commanders. Stuart, dashing rebel cavalry commander, has been killed at the battle of Yellow Tavern, and Longstreet is forced away from the army for months due to wounds. Coupled with this is the problem of Lee’s remaining generals; men who lack the fire and zeal of the fight, and lose thousands of men in costly mistakes that the Confederates cannot afford. More than ever, Lee feels the lack of men like Stonewall Jackson. Finally, after a long string of battles culminating the siege of Petersburg, Lee’s army is racing along the rail lines in search of promised food and suplies sent from Richmond, hoping to beat the brutal Union cavalry command, Phil Sheridan, to the desperately needed food. The story is definitely interesting, particularly if you’ve already been following Chamberlain and Lee throughout the other books in the trilogy. Though I’ve not read the first two books, I have seen both of the movies and plan on reading the books based on my opinion of this one. The story is absolutely captivating, making you feel, like Lee, that his soldiers can still prevail, and will prevail; or like Grant, feel absolute frustration at the disorganization and ineptness in his army. By no means does reading the book feel like a textbook or anything close. We’re given a clear, up-close look at the possible emotions these men might have balanced throughout history, particularly those of Lee. The emotion at the end of the book, during the surrender of the army, is incredibly well written. Though this is a high point of the book, the low point would have to be dialogue; it often comes out sounded stilted, and not very natural at all. This becomes most annoying with the addition of myriad ellipses and ‘um’s littered throughout the speaking. 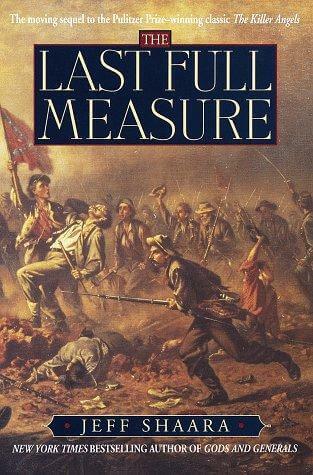 Overall, though, The Last Full Measure is an excellent book for historical fiction lovers, Civil War buffs, or anyone who’s read and enjoyed the first two books or movies in the trilogy. Sadly, there won’t be a movie made for this book of the trilogy, but one can still read the book and be transported back in time to the Civil War, and stand in the shoes of Lee, Grant, and Chamberlain. It’s so easy to think that the times we live in are especially turbulent. But the truth is, ever since the Fall of Man, we have been living in dark times. Which is why, reading First Light was especially fascinating for me, because it brought to life the history of the dark times in which the True Light walked on the earth. First Light is the first in the A.D. Chronicles series. The story looks at a few main protagonists: Susanna bat Maccabee, who is being pressured to marry Demos bar Talmai but loves his younger brother Manean bar Talmai, Peniel the blind beggar boy (the blind beggar that Jesus healed), Marcus the Roman Centurion and Zadok the Chief Shepherd of Israel. Their actions and interactions revolve around Yeshua, and how their lives have been changed by him. I feel that by using such a diverse cast of characters, the authors have managed to bring out life in Jerusalem more fully. From the ‘high society’ that Susanna and Manean move in, to the lowest of the low, Peniel a blind begger, life in Jerusalem is brought to life. Futhermore, the use of the Jewish spelling of the name helped me to remember to look at the same Bible stories with fresh eyes. Of course, it goes to say that I really loved reading this book. All the characters were brought to life, and I liked how the authors gave characters like the blind beggar in the Bible a believable history. Needless to say, Peniel was my favourite character. His faith even in the midst of the bitterness of his mother and the apathy of his father was very touching, and I don’t think I can ever read John 9:20-22, where his parents do not speak up for him, as I did in the past. The only quibble I have with the book is the unrequited romance between Mary (the sister of Lazarus) and Marcus the Centurion. The supposed reason for this is due to her past as a prostitute, they got to know one another. But my understanding is that the Mary that was a prostitute and Mary the sister of Lazarus were two different people. But this is a very minor part of the book, and nothing happened between them. Overall, I heartily recommend this book if you’re into historical fiction. It’s well-written and very enjoyable. A Tale of Two Cities is not exactly an excellent book to pick up after a long absence. It’s a little difficult to follow and moves a little slower than “modern” books, but don’t let that detract you from this book at all. It has earned its place as one of my favorite Dickens novels yet. The year is 1775. The novel opens with Dickens’ famous lines, “It was the best of times. It was the worst of times.” As with many novels, the story is difficult to summarize in a single paragraph. Mr. Lorry, clerk of Tellson’s bank, has just received word that a certain person of interest to him has been ‘revived to life.’ Upon receiving this message, Mr. Lorry comes back into contact with Lucie Manette, whom he carried across the English Channel to safety in England almost twenty years past. Lucie and Mr. Lorry travel to Paris, to find her father, who has been dead for twenty years, but is now revived to life. As with any Dickens novel the characters are fantastic. If there weren’t so many of them, they would be even better! The characters come to life throughout these pages. One is truly immersed in their lives and sympathetic to their troubles. They act as real people; they make mistakes, they lie or hedge, they love. Dickens’ novel brings the eighteenth century to life for modern readers perfectly. Most notable of all the characters is Mr. Sydney Carton. His character is perhaps the most complex of all those found in the novel, and certainly the most interesting. One thing to remember as you read this book: even the most minor characters may yet have a part to play in the story. Perhaps the biggest issue I have with the book is that it tends to ramble; not necessarily in the inclusion of unecessary elements, but more with the confusion of the reader. It takes a good while to get your head around the story, and it was several chapters in before I was certain of what was happening and who every face was. One thing you will definitely want to put particular attention towards is placing the characters in your head as they are introduced. As I mentioned before, you’ll want to keep track of even minor characters. 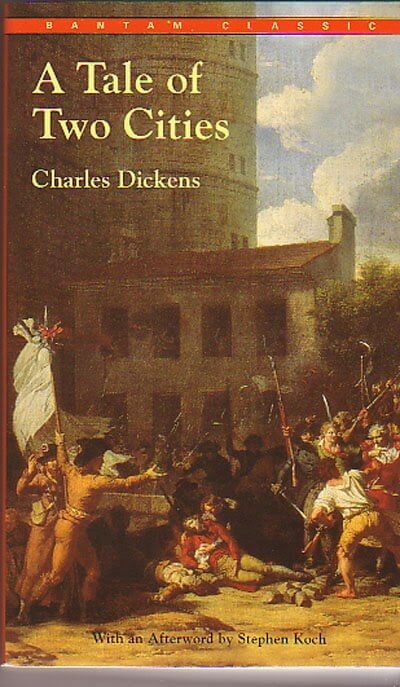 Overall, A Tale of Two Cities is most assuredly a classic, and it has earned a place on my virtual bookshelf. I recommend it highly. I have heard the name of Carrie Vaughn around the book world before, but have never read any of her works until I was caught by the cover of this one. Steel is a swashbuckling adventure that drags its readers straight into the historic pages of piracy and open seas. It also dragged the main character into the fray as well – literally. Jill is a sixteen-year-old fencer at her highschool. Though she has competed at countless tournaments and is practised at the art, she has never before used a sharpened blade in combat. Whilst on holidays in the Caribbean with her family, she comes across the broken blade of an ancient rapier, and keeps it for herself. It isn’t long before Jill realizes there is more to the sword piece that meets the eye. After falling into the ocean, she is mysteriously transported through time to the deck of a pirate ship full of very real pirates. Jill finds that the pirates have no idea where she came from, and worse – no idea how to get her back. The only clue to her sudden appearance in the early eighteenth century lies in the broken sword tip: whose secrets seem strangely tied to Jill’s pirate captain rescuer. Reading this book made me feel as though I was right on deck with Jill. It is written with such a vividness and authenticity that you can almost taste the salt in the air. The story took twists and turns that I didn’t see coming, and the growth of Jill’s character was a pleasure to watch. There were also some very touching scenes that made me teary – some only consisting of a few words. I was curious as to how the tale would end, as I thought it might be tricky to wind up. Yet the author brought it to a most satisfying finale which wrapped the story up perfectly. It was a most enjoyable read. There are however, a few issues. Being a pirate story, there is some moderate coarse language scattered throughout. There was no R rated or obscene swearing, however it was strong enough to make a mention of. Immorality ran high here during this period of history, but for a few brief, discreet allusions, the author did not go into any depth. Dark magic and blood sacrifice comes into play as a key plotpoint of the story, but it is marked strongly as wicked and wrong. Though it is a major element to the resolution, it was mostly out of the spotlight when it comes to description and detail. One minor point that may be worth noting is that the pirate captain is a woman. This didn’t bother me, and it does add to the story’s plot, however I thought I would make a mention of it. Overall, I found this to be a very enjoyable read and would give it a rating of four stars out of five. George Smiley’s world just got a whole lot more complicated. The man he knew as “Control” is dead, and the young Turks who forced him out now run the “Circus” – the uppermost level of the British Secret Intelligence Service. But retired agent Smiley isn’t out of the game yet – especially when a would-be defector appears out of nowhere with a devestating accusation: a Soviet spy has penetrated the Circus. Recruiting his wits and a few loyal friends, Smiley launches an undercover investigation and sets a trap to catch the mole. Written in 1974 – and comprising the first installment of John le Carre’s Karla trilogy – Tinker, Tailor, Soldier, Spy is an espionage thriller of the highest order: intelligent, thrilling, and complex. Even though the Cold War (during which the story is set) is now over, the tension of Le Carre’s narrative remains as taut and unrelenting as ever. That said, readers expecting James Bond-like exploits will be disappointed. There are no blazing gunfights, techy gadgets, high-speed car chases, crazy stunts, or underdressed females: the action here is primarily psychological. It’s a battle of wits, a mental melee, as Smiley and his loyal cadre race against time to expose the traitor in their midst. To be sure, the book takes some time to work through, but the payoff is extraordinary. John le Carre – the nom de plume of David John Moore Cornwell – was himself an agent for the British foreign-intelligence service, working under the cover of “Second Secretary” in Bonn, and eventually transferring to Hamburg as a political consul. His experience in that sphere makes itself apparent in his writing: the story may be a complete work of fiction, but it reads like something that could’ve really happened. 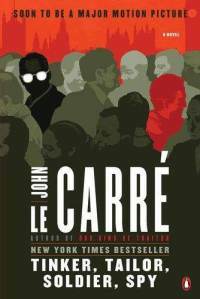 Le Carre’s writing is top-notch, slowly but surely building suspense over the course of 350 pages, and spinning a smartly-complicated web of intrigue, double-cross, and political machination. The dialogue is smooth, the descriptions vivid, the atmosphere convincing. 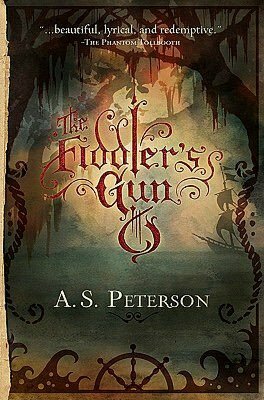 And yet as good as the story itself was, it was ultimately the slew of fascinating characters that made me love the book as much as I did. From Ricky Tarr and Peter Guilliam, to Jim Prideaux and George Smiley – all of them leap to life under the expertise of Le Carre’s pen. Smiley, in particular – who was apparently modeled after one of Le Carre’s real-life acquaintances, Vivian H. Green – is now one of my favorite literary characters: quiet, calm, perceptive, clever; troubled and grieved by the infidelity of his wife, Anne; loyal to his country and friends; and fully aware of the morally-ambiguous – yet altogether necessary – nature of his work. There’s nothing Bond-like about him; his demeanor is closer to that of a village clerk. Yet even though he’s “breathtakingly ordinary”, there’s something undeniably extraordinary about him. In conclusion, I highly recommend Tinker, Tailor, Soldier, Spy. It’s a challenging, thoughtful, and thoroughly engrossing espionage novel, one of the best I’ve ever read. Apathy, a disease that infects the church today, but was unheard of in the 17th century, a time where King Jesus reigned supreme in the lives of his followers. This is a time in history before the Scottish Covenanters came to America for freedom, a time when serving Christ, and not the Church, was punishable by death, or worse. 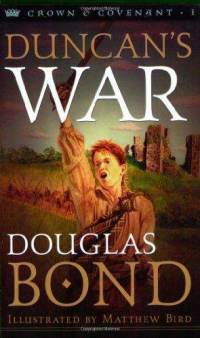 Duncan’s War follows the lives of the M’Kethe family as they endure brutal persecution at the hands of King James and Charles. Duncan is the eldest child in the M’Kethe household, devoted to God, family, and longing to see his country restored to the glory it once was. As the story unfolds, we see this brave family wrestle with honoring God and applying His word while living amidst a government that is trying to obliterate Christianity. Yet the M’Kethes hold onto the Lord’s promises and pray the Lord spare the land they love so dearly. This book ended up being a breath of fresh air for me. While the book has a solid plot, steady pace, and has a family that is easy to love, I was more enthralled with the strong Christian themes portrayed throughout its pages. From family worship scenes to a father answering his son’s tough questions about serving God in chaotic times, the book never faltered. It delivered truth and power, clearly showing the differences between good and evil and how hard it is to obey the Biblical command of loving your enemies. I was made keenly aware of how easy we have it in the United States, after this book, compared to the fierce persecutions the devout Scots endured. As a reader, I was particularly struck with what I would do, faced with a similar situation. This book forces you to look at the scriptures, and put yourself in their shoes. Sandi M’Kethe, the father, remained my favorite character throughout the entire series. This is a solid man of God, one worth emulating. His children watch his actions through the book, not always understanding them, but in the end learning to appreciate them. They know, without a doubt, that their father will always obey Christ first before any mortal man. He never compromises his integrity in the midst of war. Sandi clearly keeps his biblical perspective, remembering that life on earth is not the only one we live for. How we live and die shows to Whom we give honor. I would especially recommend this book as a good read for any family studying the American Revolution, as many Scottish Covenanters were the foundation of the US. Mr. Bond has a little section in the back of the book that alerts the reader to who were nonfiction characters, and which were real people. He doesn’t just stop there, though. He also gives a list of the events that were real and how he changed them. This book is a very valuable addition to any library, be it a family one, or a personal one. Biblical principles are clearly depicted in these pages, and young children will be encouraged to emulate them. Imagine this: you’re captured by those hostile to Christianity and given a choice. If you step on the picture of Jesus, the authorities will release the other prisoners. If you don’t, they’ll continue torturing them to death, although you yourself will be spared. What would you do? This is the central question in Silence by Shusaku Endo, and certainly elicits many different responses. Some of my cousins and I think that it’s better not to let the other suffer, since God knows our motives, while one of my Church School classmates reasons that this is a good opportunity for the ones being tortured to ‘test their faith’. Silence is based on the true story of the Portuguese Father Roderigues. Set in the 1600s, Christianity is banned and all believers are persecuted and tortured beyond belief. It is within this context that Father Roderigues arrives to Japan, trying to keep the Faith alive. In a manner that is sort of parallels our Lord, he is persecuted, betrayed and finally captured and the scenario in the first paragraph is posed to him. Father Roderigues faces two forms of ‘torture’. One is the torture from the secular authorities, and the other, is what he sees as the silence of God. It is interesting to see that Endo does not take the conventional answer to the question of the silence of God, but has a unique answer to it. The narrative is easy to read. It jumps between diary entries, letters and a conventional narrative style, although it is the conventional narrative that takes up most of the book. As a translated text, I’m happy with the translation by William Johnston, although reading it in English omits some of the more subtle Japanese meanings. Before I end, I should attempt to describe the author a little: Shusaku Endo is a very rare Japanese – he is a Catholic. He’s also a superb novelist whose books with obvious Christian themes, such as this one, have become famous within Japan. He tried to portray the “mother love” of God through his books, because he feels that the Japanese understand the “Father love” of God, but not His maternal aspect. That’s why, in this book, he explores the nature of sacrifice at a great personal cost. 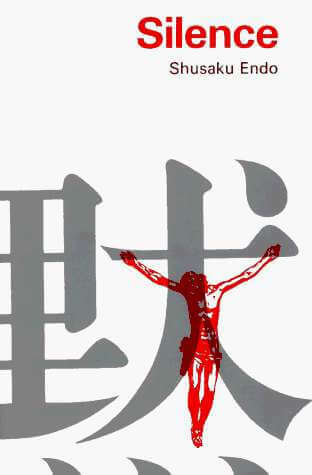 However, this does not mean that what he writes reflects the conventional thinking of the Japanese Church, in fact, his books are seen as controversial and Silence, in particular, is seen as less than fair to the Japanese martyrs.